Why bamboo? It is beautiful. It is strong. It is environmentally friendly. The delicate grain of bamboo with its rich honey colour makes it a distinctive, elegant, and subtle material for fine serving and kitchenware. Bamboo is lightweight, yet 16% harder than maple and 50% stronger than red oak. Resistance to moisture, stains and mildew make it ideal for use in the kitchen. Made of naturally sustainable bamboo. Upper and lower tier for cooking different types of food at the same time. For use in a wok or over a sauce pan. 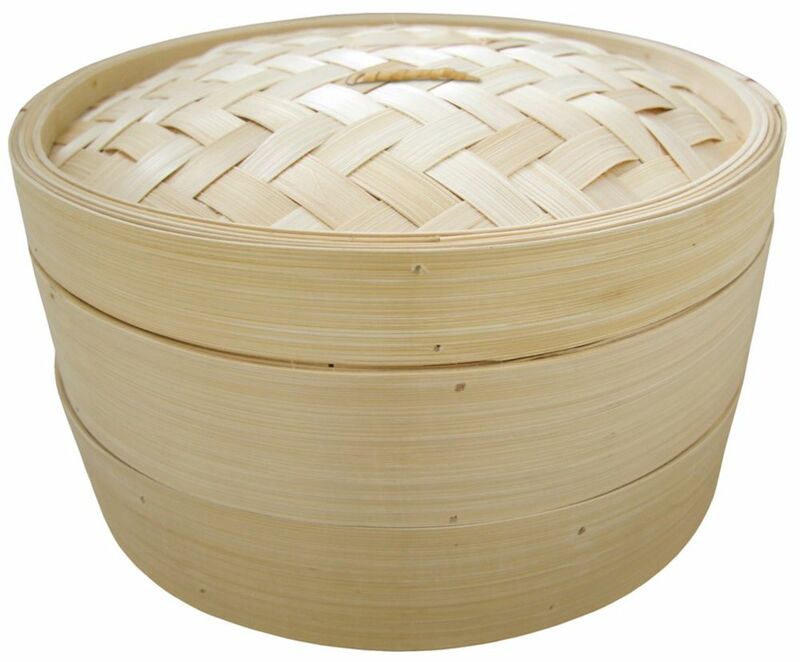 12 inch Bamboo Steamer Why bamboo? It is beautiful. It is strong. It is environmentally friendly. The delicate grain of bamboo with its rich honey colour makes it a distinctive, elegant, and subtle material for fine serving and kitchenware. Bamboo is lightweight, yet 16% harder than maple and 50% stronger than red oak. Resistance to moisture, stains and mildew make it ideal for use in the kitchen.